Larian Studios, the developer of the Divinity: Original Sin series, are busy working on their next project. While details on the game are pretty sparse at this point, we do at least know that it has an adorable codename. The new game – which is not yet confirmed to be a new Divinity title – “blends the same things that we’ve been exploring all the time. It’s going to be narrative, systems, multiplayer, new things, new ideas.” What’s more important, however, is that the new game is codenamed Project Gustav, after Larian founder and CEO Swen Vincke’s pet dog. That information comes from Gameumentary’s recent documentary, which covers the early days of the studio all the way up to the monumental success of last year’s Divinity: Original Sin II. You can check out that feature-length documentary in its entirety in the video towards the bottom of this article (via Destructoid). But as well as covering how the studio got to its current point, the doc also offers a brief look at what Larian is up to now. Vincke says that “as we were already finishing DOS2, we actually a month before sat in a hotel room for a weekend and worked on the next thing.” While there’s no official word on what that next thing is, Vincke does make specific reference to “a trap that sequels fall into.” That’s not exactly definitive proof, but I’d say a DOS3 is, at the very least, a possibility. It’ll likely be a few years before we know what Project Gustav actually includes. 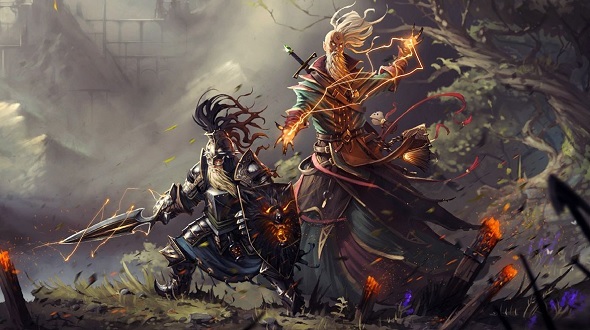 Until then, we’re definitely holding out for Divinity: Original Sin 3 as we look towards the future of a studio that has catapulted itself to success with two masterful RPGs.